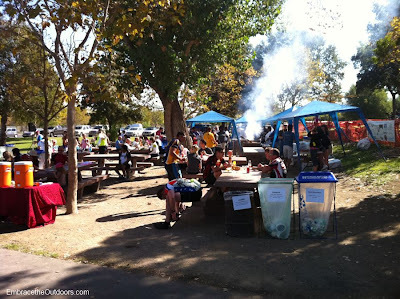 Today outdoor retailer REI announced they will be opening a new store in Dublin, CA in the Fall of 2011. The 24,000 square-foot store will be located at the Amador Plaza shopping center. REI states that they have 42,500 active members that live within 15 miles of the new location. This store will join the 10 other SF Bay Area stores and 114 nationwide. As someone who shops frequently at REI and lives in the area this new store will be a welcomed site. I often wondered why REI had not opened a store in the tri-valley area. 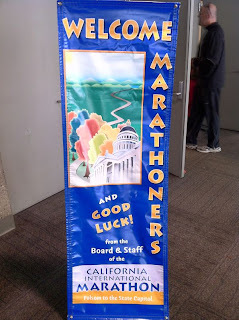 I ran my first marathon ever this year, the California International Marathon from Folsom to Sacramento. About 8,000 people participated. 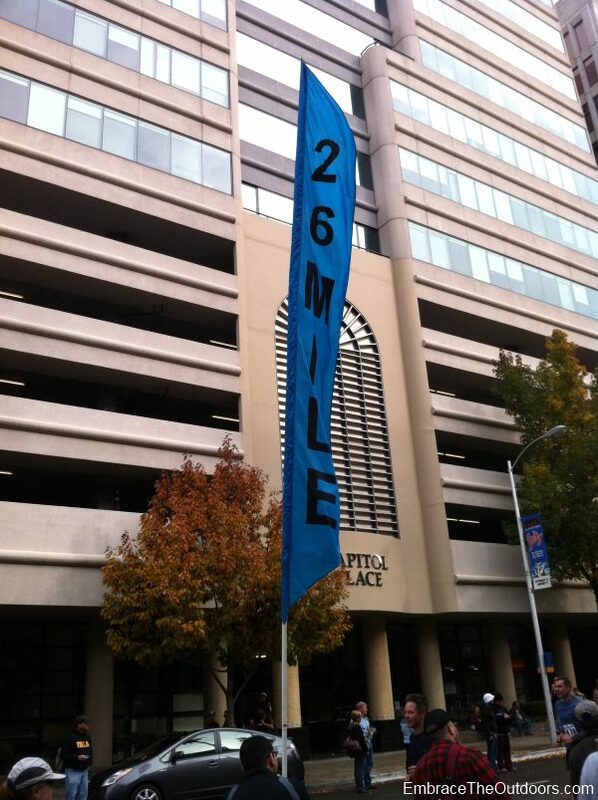 There was also a four person marathon relay and a 2.62 miles maraFUN run in Sacramento. The registration fee for the marathon varied based on how far in advance you registered. 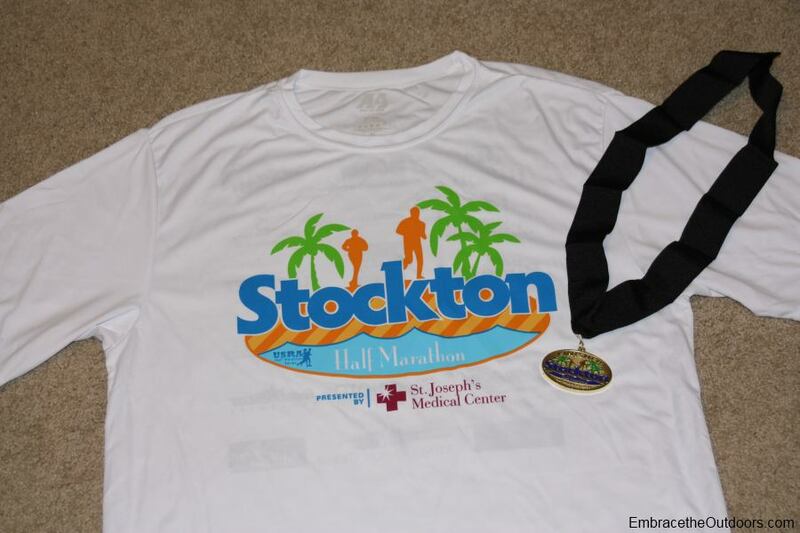 The fee included a race shirt, timing chip and goodie bag that doubled as a sweat bag. 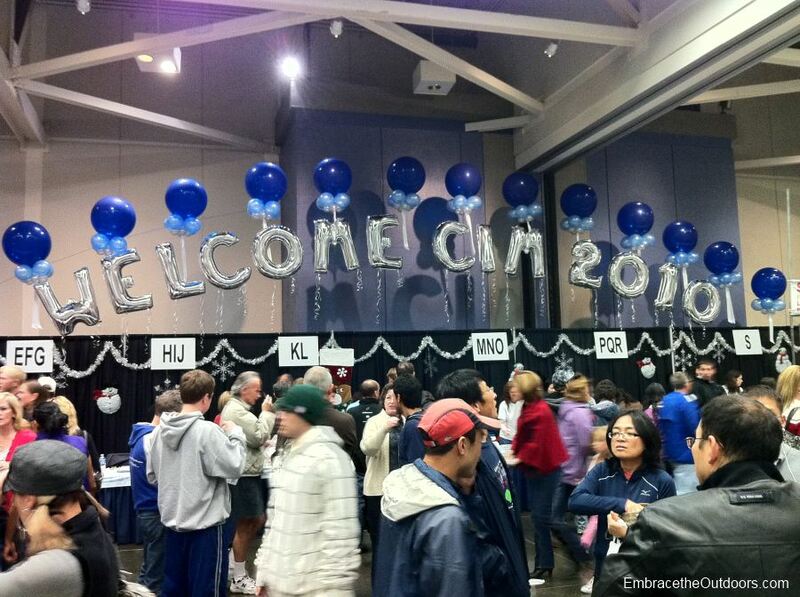 Bib pick-up was at the race expo which took place at the Sacramento Convention Center on the Friday evening and all day on the Saturday before the race. 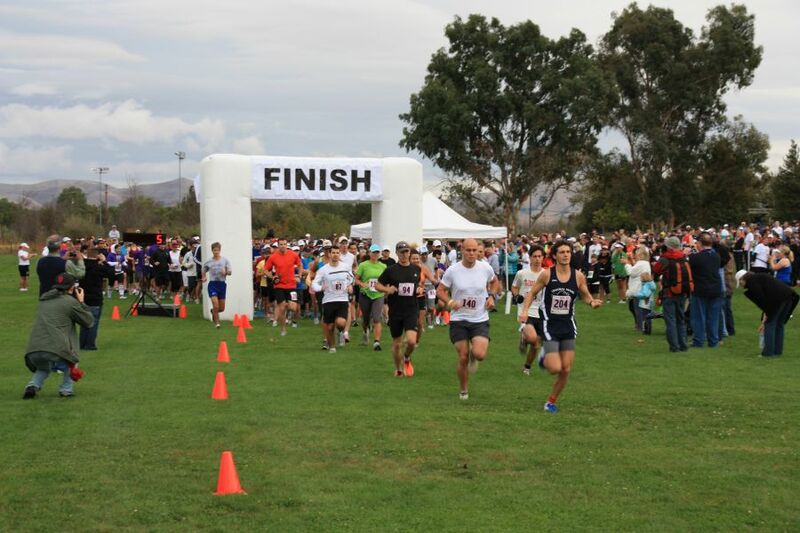 Aside from various product and event booths, there was also a Medical Symposium that covered topics such as "How to Run the Course" and "Nutrition and the Endurance Athlete". I picked up my bib, walked through the booths, sampled some Cliff Crunch Bars (they weren't bad) and bought some arm sleeve warmers before leaving the expo. Rain was in the forecast for the entire weekend and we did see quite a bit of it on Saturday night. We stayed in Folsom the night before the race to be closer to the start. We headed out in the rain on Saturday night for a pre-race pasta dinner. There were a few well known Italian restaurants in the area so we picked one and it was busy. We got there early for dinner and still ended up waiting for about 40 minutes. If I do it again in the future I would definitely make a dinner reservation. I didn't sleep much that night, partly because of anticipation and partly because I could hear the rain hitting the building. As soon as I got up on race day I looked out the hotel window and saw that it was still raining. 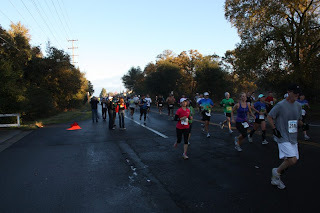 Despite all of the nerves and anticipation in that moment I accepted that my first marathon was going to be a wet one. 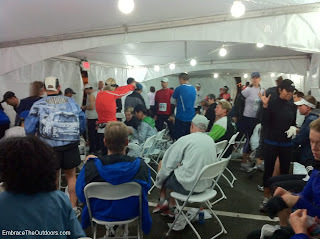 I gathered my things and headed down to the hotel breakfast which started at 4:30am that day to accommodate runners. I got my bagel with peanut butter, banana and hot tea and headed for the shuttle bus. When I registered for the race there was an option to purchase a shuttle bus ticket from certain hotels to the race start for $10, which I opted for. The school bus was half full when I boarded and as I sat waiting for it to leave I noticed that the rain had stopped. At about 5:30am the nearly full bus left the hotel room. About 15 minutes later we were parked with all the other shuttle buses near the start line. I stayed on the bus for about another 15 minutes with some other runners, to keep warm. Once off the bus there were trucks taking sweat bags, several porta potties all with a long line and a separate "VIP" area for the people who stayed in Folsom hotels. This area had a private warming tent and 8-10 porta potties that had a short line. 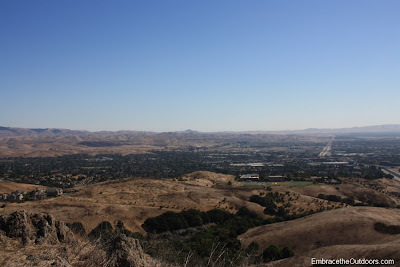 I would stay in Folsom again just for access to this area. Since there was still no rain I checked my sweat bag with my jacket in it and headed towards the start line. I lined up with a pace leader that would be running a little slower than my anticipated finish time since I thought it would be a good way to keep me from going out too fast early in the race and not having enough to finish. Just as the sun was poking through the clouds we started the race. 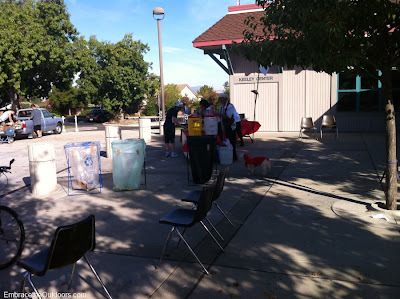 The route took us through streets in Orangevale, Citrus Heights, Fair Oaks and Carmichael before running along Fair Oaks Blvd, close to the American River. After crossing the Fair Oaks Bridge the course headed through the streets of downtown Sacramento leading to the finish at the Capitol Park. There were about 18 aid stations on the course route, each offering water, and a sports drink. The first few aid stations were very crowded and confusing as it was not made clear who was dispensing water and who was dispensing sports drink. To make it a little more confusing the sports drink was clear in color so you could not even just take a glance at the cup and tell by its color. As the race went on the aid stations were more organized with volunteers shouting out where the water and sports drinks were. 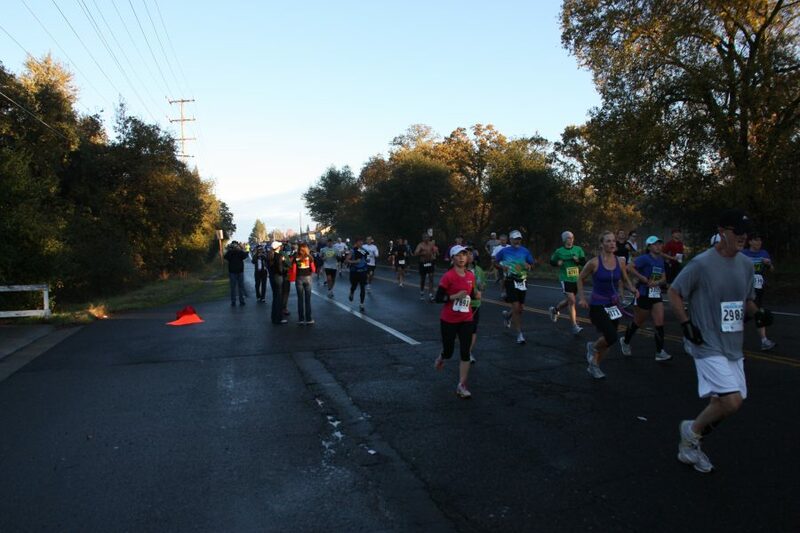 GU energy gels were provided at three different points in the race, mile 13, mile 20 and 23. There were also a few areas in the last eight miles of the race where orange slices, peanut butter filled pretzels and bananas were offered. Porta potties were supposed to be with every aid station but they were not, there were fewer than expected porta potties with very few in the first 6 miles. There were people lining most of the course with supportive signs and cheers. The three relay exchange zones were particularly busy with lots of friends and family members cheering but they did a good job of keeping them off the course and making obvious which way to go if you were a relay participant or marathoner. The finish at the Capitol was exciting with a separate finish chute for men and women. After passing the finish line a few minutes ahead of the pacer I had been following for the majority of the race volunteers got my timing chip, gave me my finishers medal, blanket and a bottle of water. Finishers photos were also taken with a CIM backdrop. Sweatbag pick up was on the lawn in front of the Capitol and was easy since it was well organized. There were separate changing tents for men and women nearby. There was a long ling to get the postrace food but it moved quickly. There were bagels, fruit and pancakes as well as warm tomato soup and cookies. Physically I felt better postrace than I had anticipated. Mentally I was thrilled that it had not rained at all. As we walked to our car to head home, I felt a few rain drops falling. The race is very well organized as I imagine it always is. 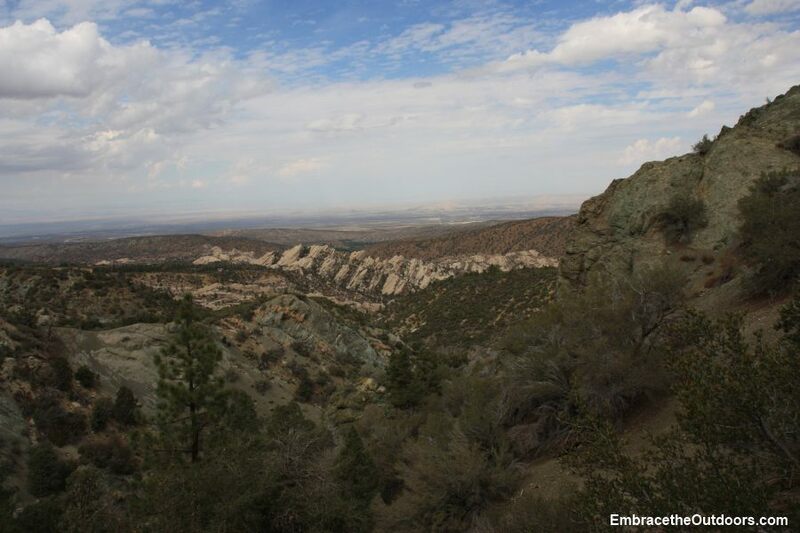 The route is great and despite a few small rolling hills it has a overall elevation drop of just over 300 feet. I would do it again. We ran the inaugural Stockton Half Marathon. 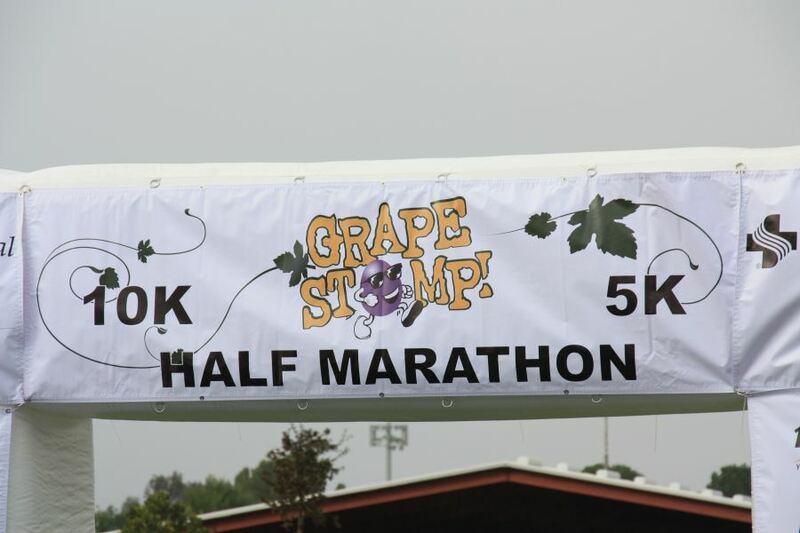 There were nearly 1000 registrants for the half and accompanying 5k races combined. Entry fee for the half marathon included a technical t-shirt, chip timing, finishers medal and post race food and music. Bib pick-up was one day prior at the Hilton in Stockton along with an "Expo" that unfortunately only consisted of one booth. Start and finish for the race was also at the Hilton Stockton. Parking at the hotel was for guests only but there was plenty of parking across the street and the race started right on time at 8am. The course took us east and on the busy March Lane for a short while before turning onto Pacific Avenue and through the UOP campus. It followed Brookside Road onto the residential area of Riverbook Drive before heading back towards the finish. The course was flat and was easy to follow as there was a chalk line on nearly all of the route so there was no question as to where we were supposed to go. There were mile markers at nearly every mile, although the first several were off by about a quarter of a mile. There were also several aid stations with water, gatorade and porta potties. There were people lining the couse with encouraging words and signs. We were lucky to have perfect race weather, with temperatures in the 50's. After crossing the finish line we received our medal and then made our way towards the post race music. There was also plenty of goodies including water, Gatorade, cookies, bagels, fruit, chips, granola bars and even pizza!!! 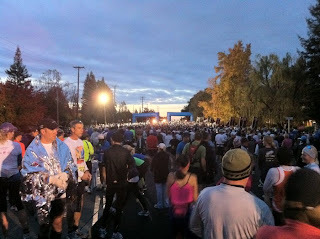 The race was very well organized and the half marathon course was great. We definitely plan on doing it again next year. We ran the Grape Stomp Half Marathon in Livermore today for the second year in a row. Just as before there was also a 5k and 10k. The course was the same as last year, it started on the grass of Robertson Park and took you through Livermore on the Arroyo Bike Trail into Shadow Cliffs in Pleasanton and back. The majority of the course was paved with a few areas of dirt and gravel mostly in Shadow Cliffs. There were very few hills. Weather was very cool to start and rain was in the forecast, quite different weather than the year before. Aside from a few sprinkles the rain stayed away until most of the racers were done. There were about 4 or 5 aid stations along the way complete with water and Gatorade and one station had energy gels. 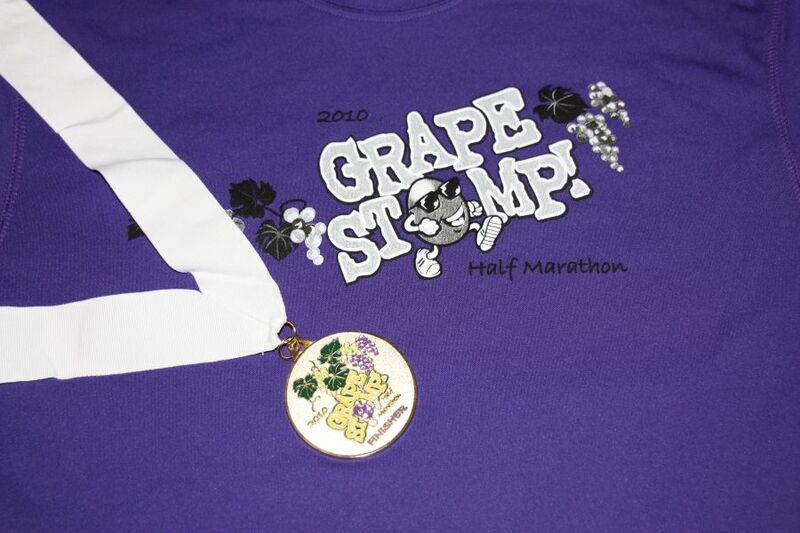 Entry fee for the Half Marathon got you a finishers medal, performance fabric T-shirt and post race snacks. Post race snacks included orange slices, bagels and pound cake but the drinks were disappointing again this year. There was no bottled water and we couldn't find any cups to get water from the drink cooler. The best part of the race was that the course was mostly on a designated trail and not on the street. We were in Southern California for the weekend and didn't want to miss an opportunity to hike. We had heard that hiking in Devils Punchbowl Park was a must do so we headed out to hike Devils Chair Trail. It was overcast and the forecast called for a chance of rain but we took the risk and made our way to the park. We were glad we did because the sky got clearer as we got closer. Once there we parked in the large paved lot among a few other cars. We stepped into the nature center for a trail map and met one of the nicest park employees ever. There were also some live reptiles and arachnids in cases. We explored the area around the center before setting out on our hike and saw a pit toilet and a good sized picnic area surrounded by trees. 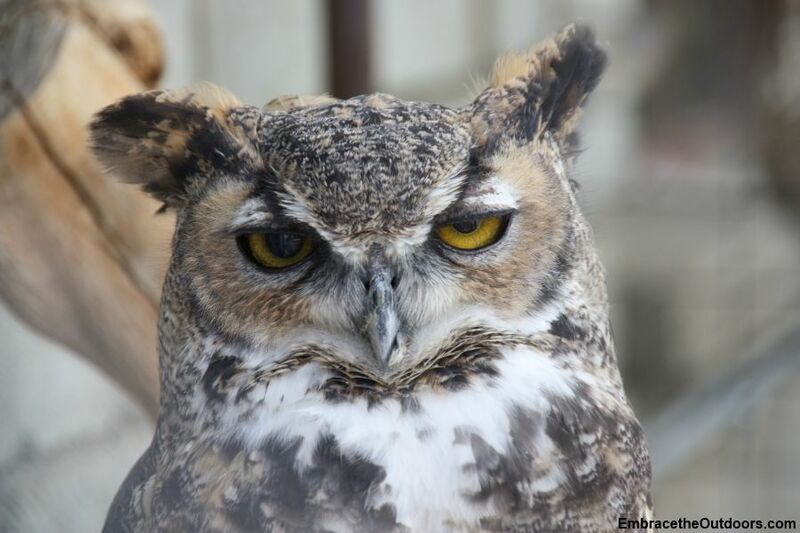 There were also owls that had been rescued from various places such as a home construction area. They have all imprinted on humans so were not impressed by us at all. We snapped some pictures and then headed out on the trail. The start of the trail is just by the parking lot and is marked by a sign to Burkhart Trail. We signed in on the sign in log and made our way up the soft dirt trail. We hiked behind a water tower and then came to a wide fire road. 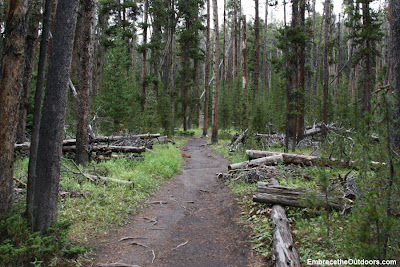 We continued on until we reached a fork in the trail and headed left onto Devil's Chair Trail. Once off the fire road the trail quickly narrowed. We followed it along a cliffside with views of Punchbowl Canyon. With just under a mile left to Devils Chair we caught a glimpse of it. The trail climbed for most of the rest of the way. Just a short distance from the chair the trail became rough and rocky and we had to watch our steps carefully. We finally made it to Devils Chair and found two other hikers already there. There was plenty of room for all four of us at the overlook. The view from here was amazing. 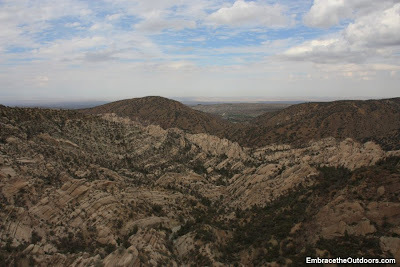 We could clearly see the Punchbowl from here, which is a canyon where two faults come together causing rocks to jut up vertically from the ground. After several minutes we were alone at the overlook and were able to enjoy it alone while we snacked. The weather was nice and cool with a light breeze. After snapping our pictures we headed back on the trail. 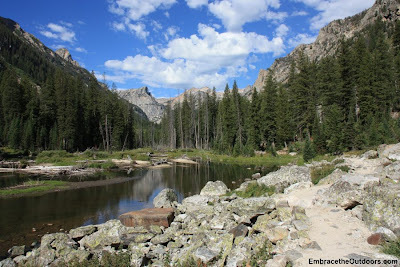 We retraced our steps towards the trailhead, passing a few groups of hikers along the way. The trail was far from crowded that day. After 7.4 miles we were back at the nature center. We made one more stop at the owls before leaving the park. The hike took us just under three and a half hours with 1000 feet elevation change. The weather ended up being perfect for the hike and with the great views we can see why this is a must do in Southern California. 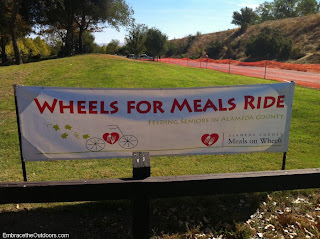 We missed the Wheels for Meals Ride last year but didn't want to miss it again so this year we headed out to Shadow Cliffs Regional Recreation Area. Proceeds from the event benefit the Meals on Wheels Programs in Alameda County. After paying our $6 entry fee for Shadow Cliffs, we parked in one of the paved lots. We made our way over to the check-in desk to check in for our ride. There was no same day registration for the event. There were three routes this year, a 15 mile ride, a 35 mile ride and a 70 mile ride. We did the 15 mile ride and pre-registered online for $25. To avoid a mass start each route was given a designated hour to be able to check in. For example, we could check in between 9am and 10am. Once checked in we received our bib for our bikes and a color coded wristband that matched our route markers on the ride. The wristband for the 15 mile ride was green so we followed the green route markers on our ride. There was coffee, water and bagels at the check-in station as well. We made our way through the parking lot and up our first hill to get out of Shadow Cliffs. We headed east on Stanley Blvd. 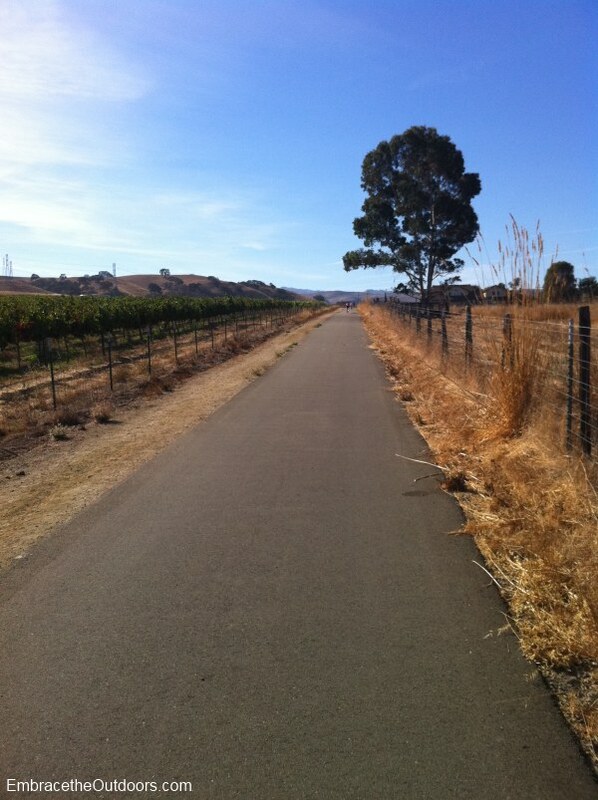 and then made a few turns to ride through quiet residential streets of Livermore. At 5 miles we reached our first rest stop at Charles Borromeo Church. The volunteers here were very enthusiastic and friendly. There was water, gatorade, fruit, candy and trailmix. After a quick break we headed back on our ride. After about one mile we were riding through vineyards and up a few short hills. 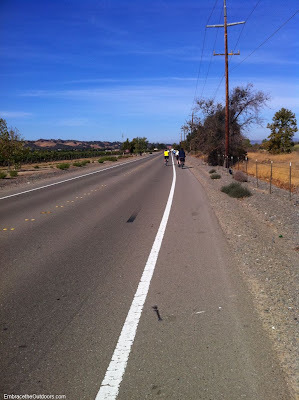 We descended for about two miles on the Vineyard and Wetmore bike paths before we reached our second rest stop at Sycamore Grove Park. This stop was "Fiesta" themed with music and sombreros. Again there was water, gatorade, fruit, jerkey, peanut butter sandwiches and trailmix. We enjoyed the shade for a short while before heading back on the ride. We took East Vineyard Avenue for most of the remainder of the ride through some beautiful scenery before making our way back to Stanley Blvd. 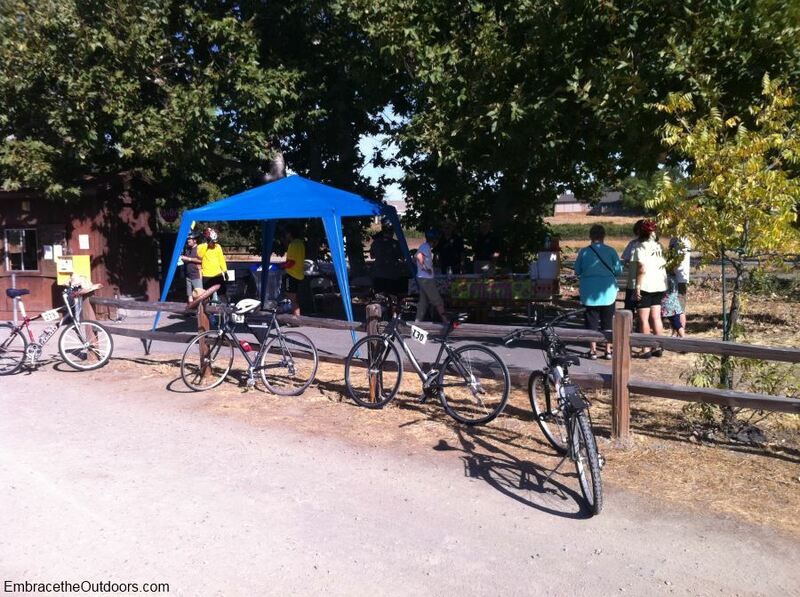 We rode on the bike path to the finish and as we entered Shadow Cliffs there were volunteers cheering us on. We made our way back to the Lakeside Picnic Area where they provided a great BBQ for all participants, complete with dessert. 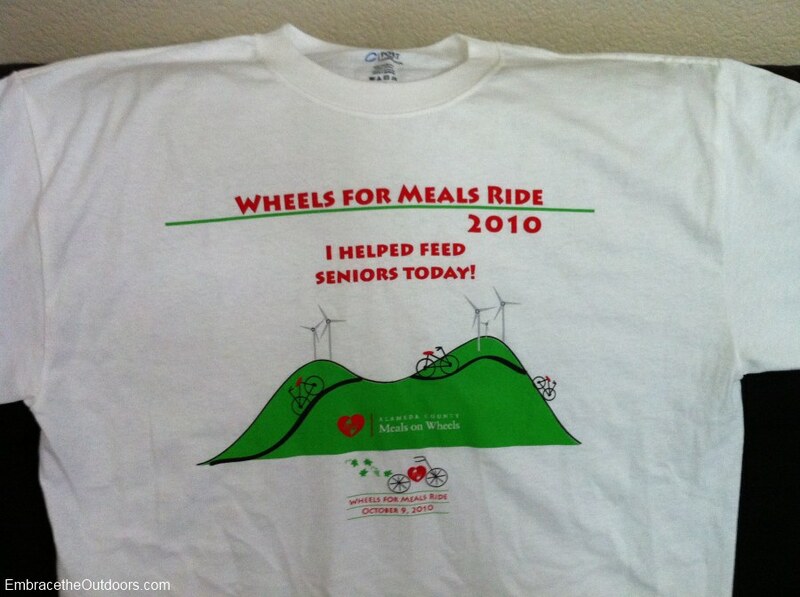 We picked up our T-shirts and with our full stomachs slowly rode back to our car to head home. 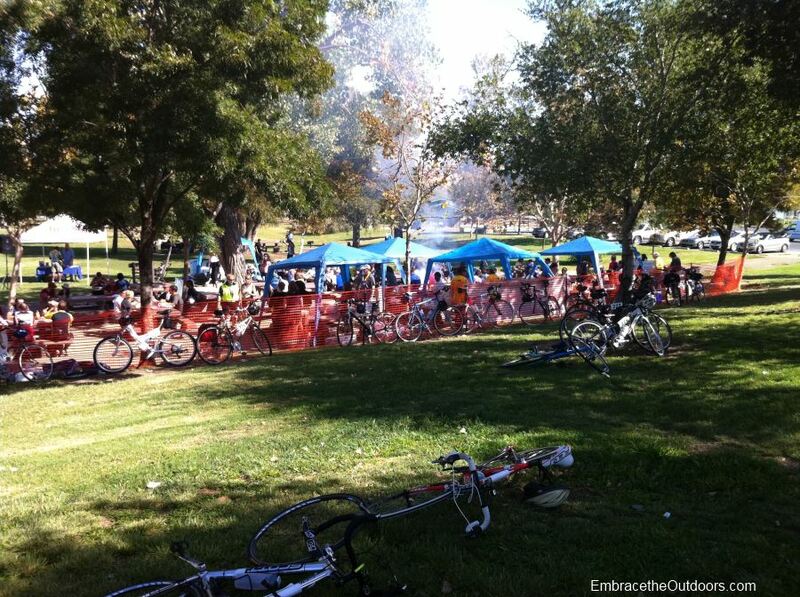 It was a great ride benefiting a great cause, we would definitely do it again. The weather was perfect, warm but not hot. We were impressed with how organized the fairly new event was. Can't wait for next year. For the first weekend of fall we decided to go hiking. We were hoping for nice weather but it turned out to be a very warm weekend. Despite the weather forecast we decided to go to Dublin Hills for our hike. 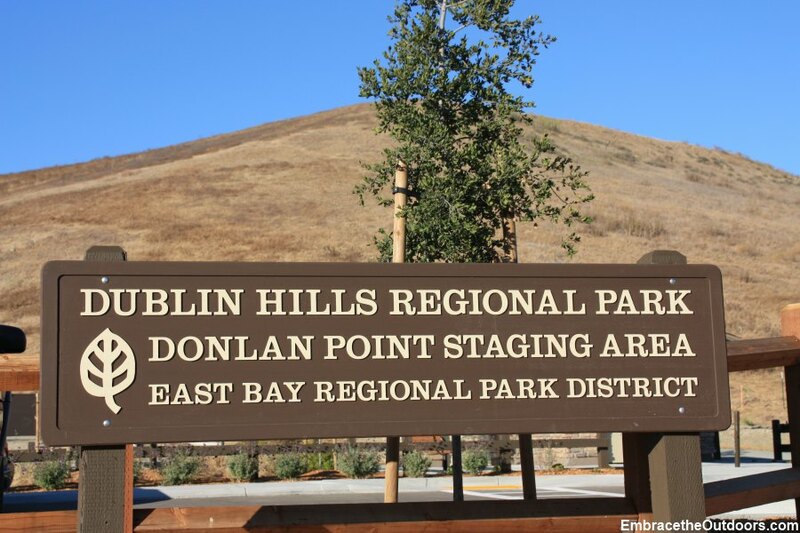 Dublin Hills is EBRPD's newest park and is located just a short drive from I-580. 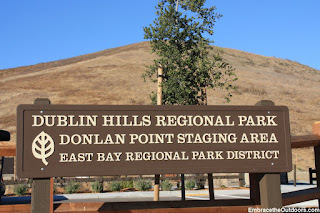 We parked at the Donlan Point Staging Area, which has a good sized parking lot, restrooms and picnic tables. 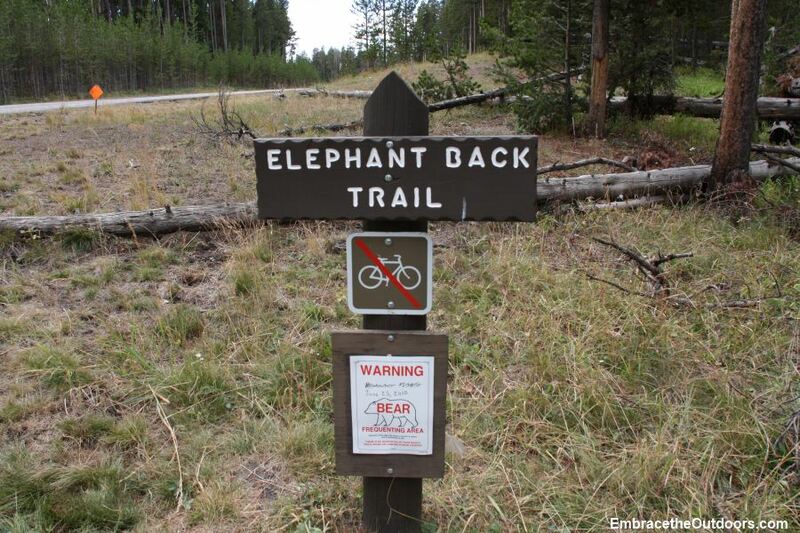 The trailhead here is hard to miss. We started our hike on the Calaveras Ridge Regional Trail, a dirt trail. It starts off fairly flat, following along a new housing development. After half a mile we took a detour up to Donlan Point. After climbing for a quarter of a mile we reached the peak. 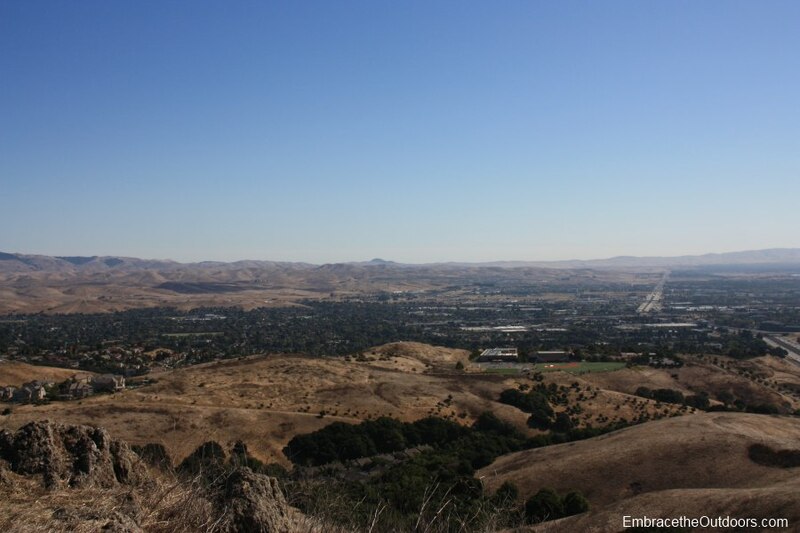 Here we were able to see views of Dublin, the freeway and the edge of Castro Valley. We made our way back down to continue on the main trail. We could still see views of the city of Dublin from here. 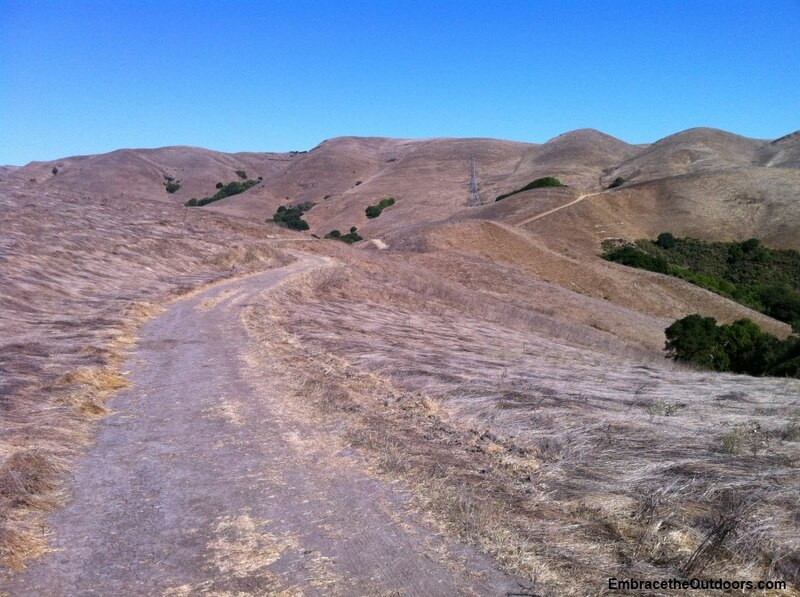 The rest of the trail consisted of rolling hills and remained exposed. Because of the hot weather we decided to turn around after just over a mile. We saw a few lizards and a snake. There were a few others on the trail but it was not busy by any means. After 3.25 miles total we were back at the parking lot. It was a nice easy hike, it took us about an hour and 15 minutes. We definitely plan on going back to the park, possibly for a trail run. It will be nice when the construction on the nearby housing development is done so that you don't hear the noise at the beginning of the hike and when the remaining future trails are completed. On Saturday the 11th we headed to Tracy, CA for the Tracy Bean Run. 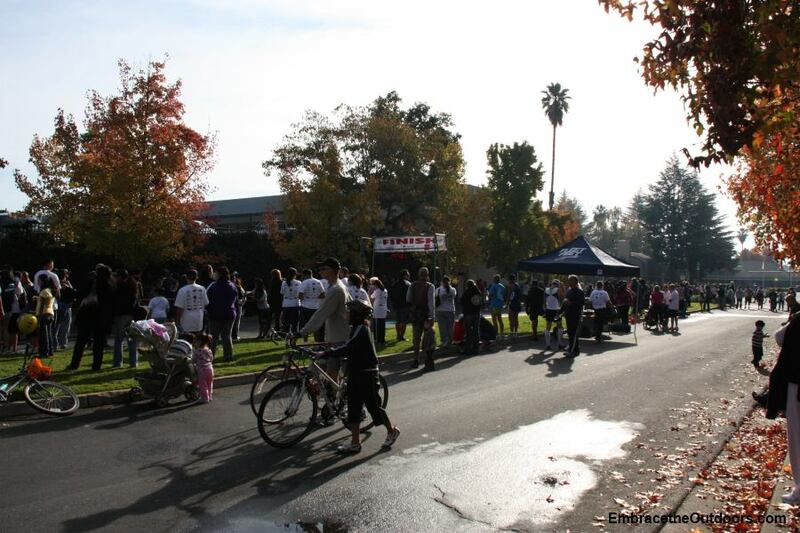 The run is named for the Tracy Dry Bean Festival that happens annually in downtown. The Bean Run used to also be an annual event but hasn't happened in several years. So for 2010 the Tracy Chamber of Commerce brought it back. We parked at nearby Tracy High and walked over to city hall to pick up our race bibs. There was a very long line for both pre-registered and race day registration. They were really in need of some more volunteers. They also ran out of race t-shirts. 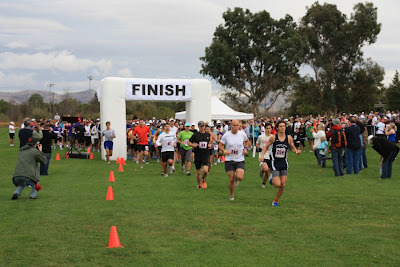 Since this was the first year they had the event in a while they were expecting about 200 runners, but in they end they had 350. The race started about 15minutes late due to the registration line but alas we hit the streets. 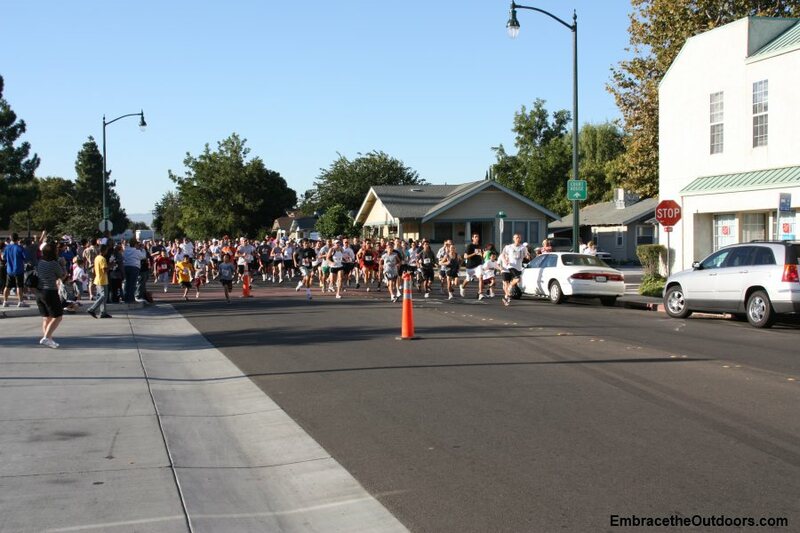 The 5k and 10k started at the same time and made its way through the downtown Tracy area and finished back at city hall. After the race we walked over to the Dry Bean Festival which was just getting underway. We meandered through the festival to the main stage where the race awards were to be given out. After the awards we once again walked around a bit before heading home. 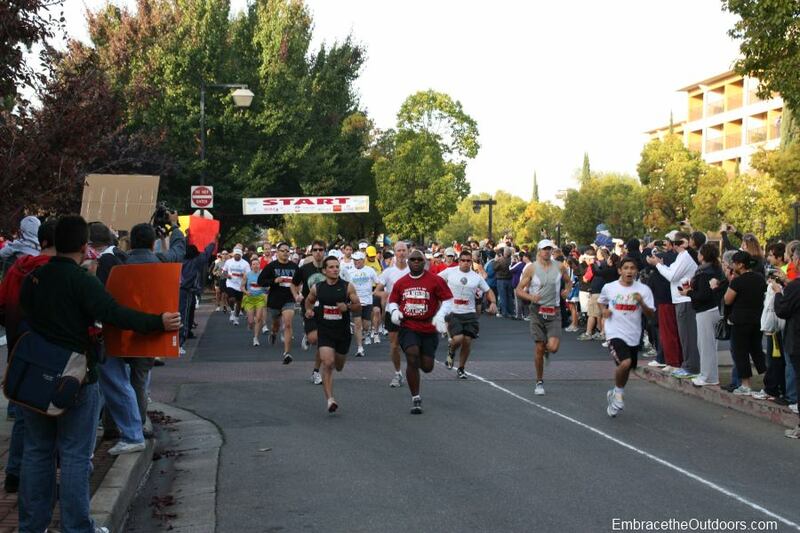 Currently this is the only race that takes place in Tracy. Hopefully they will do it again next year, and be prepared for an even larger number of runners. While in Grand Teton National Park we decided to hike up Cascade Canyon. 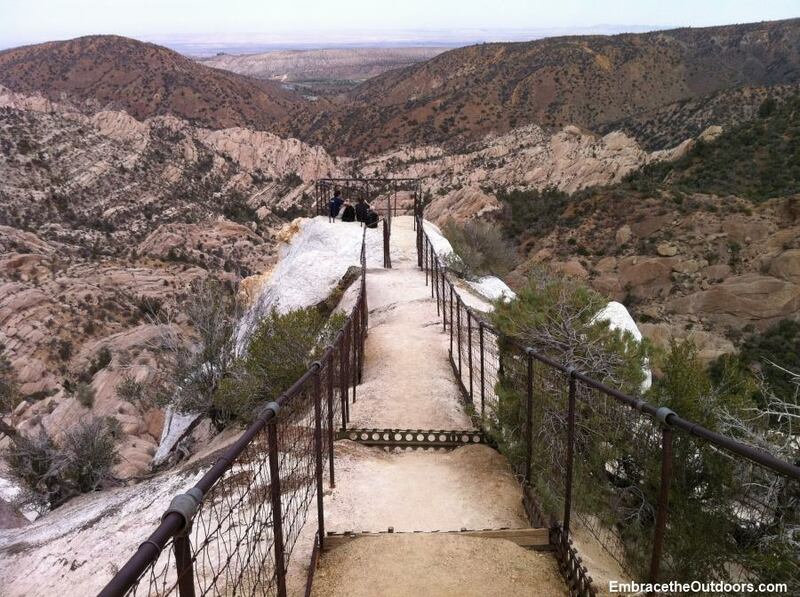 The hike was recommended to us by a friend and is one of the most popular trails in the park. 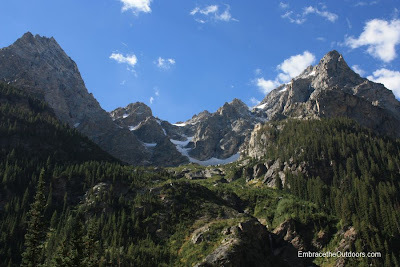 To start the hike you need to head over to Jenny Lake. 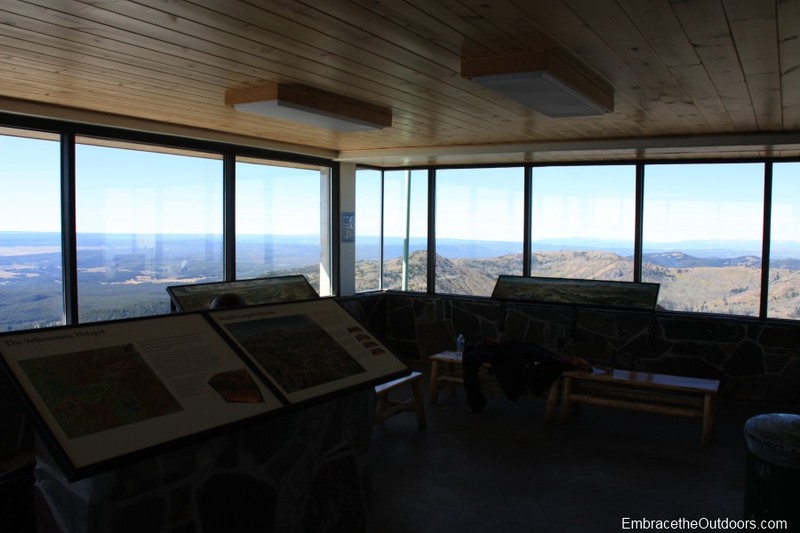 There is a visitor center at Jenny Lake, along with restrooms and a general store. 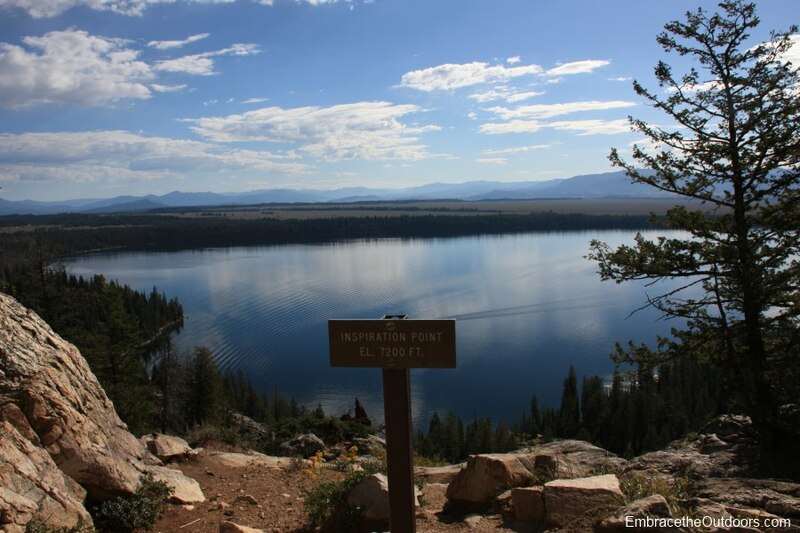 There are two choices to begin the hike as the trailhead is actually across the lake from the visitor center. One of the options is to walk two miles around the southern part of the lake and the other option is to take a shuttle boat across. The shuttle boat costs $10 for a roundtrip ticket and the ride only takes about eight minutes. The shuttle operates daily from 8am to 6pm with boats leaving every 15 to 20 minutes. We elected to take the shuttle boat across to save us from a few miles of hiking. Once across the lake we began the hike up. About half a mile into the trail we reached Hidden Falls, a pretty but small waterfall. We took our pictures and continued on. Another half mile on a very rocky trail got us to Inspiration Point. This gives a great view of Jenny Lake down below. Up to this point in the trail was the most difficult part of the hike, where most of the elevation was gained. This first mile tends to be extremely busy. 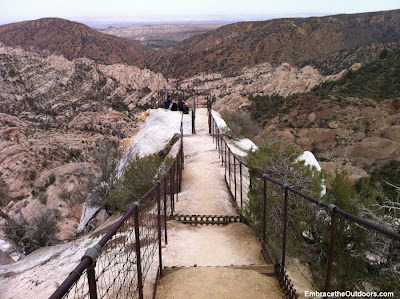 The hike to Inspiration Point is the most popular hike in the park. 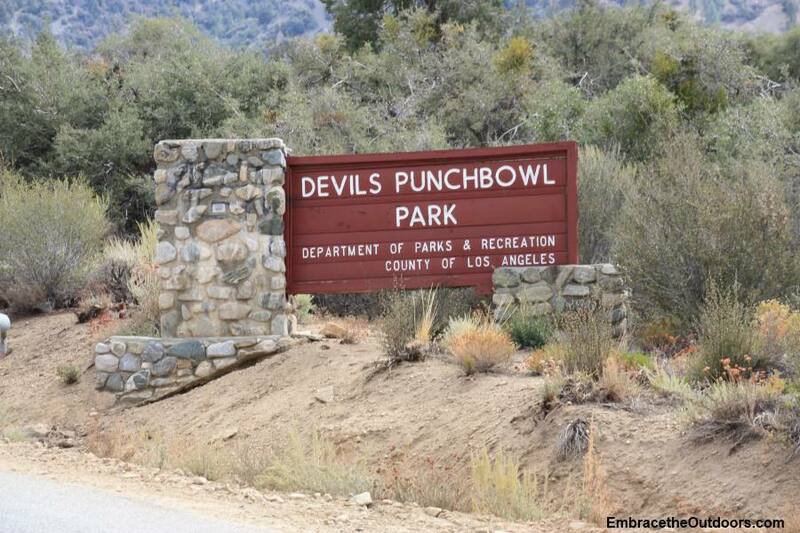 The good news is that probably 90% of people turn around at Inspiration Point. We were of course continuing on up Cascade Canyon. From here the trail follows Cascade Creek up the canyon. The rise is very gradual and easy to hike. There are alternating sections of shade and exposed areas. The trail gave us great views of the the canyon itself. 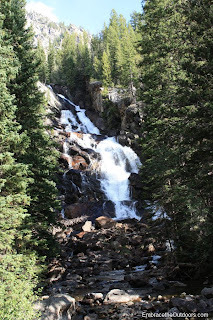 We saw small waterfalls off to one side along with great views of Teewinot Mountain and Mount Owen. We reached our turn around point which is known as Cascade Fork. From the the fork you can go to the right and travel another 2.7miles to Solitude Lake on the North Fork Cascade/Lake Solitude Trail. 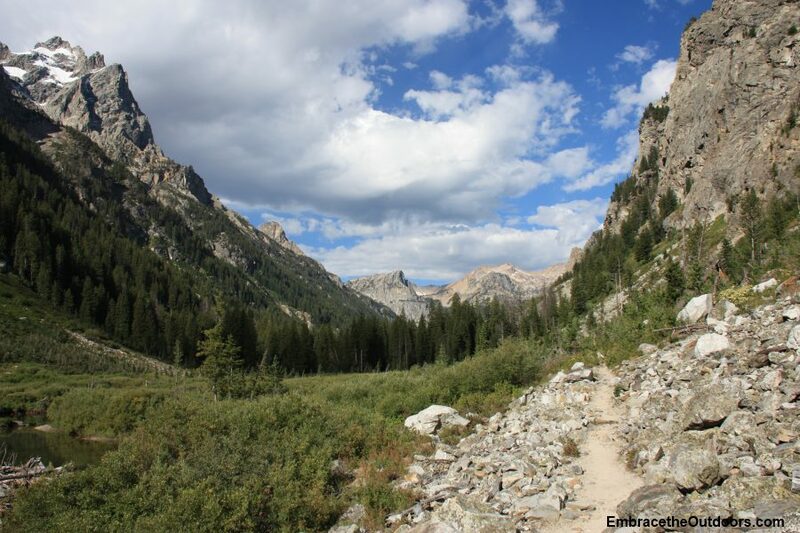 Going to the left would take you to Sunset Lake and to other connecting trails via the South Fork Cascade/Teton Crest Trail. We sat on the rocks at the fork to take a break, along with a few other people. For most day hikers this is the turn around spot, while there are many backpackers who pass this point and continue on. We threw our packs back on and began heading back. 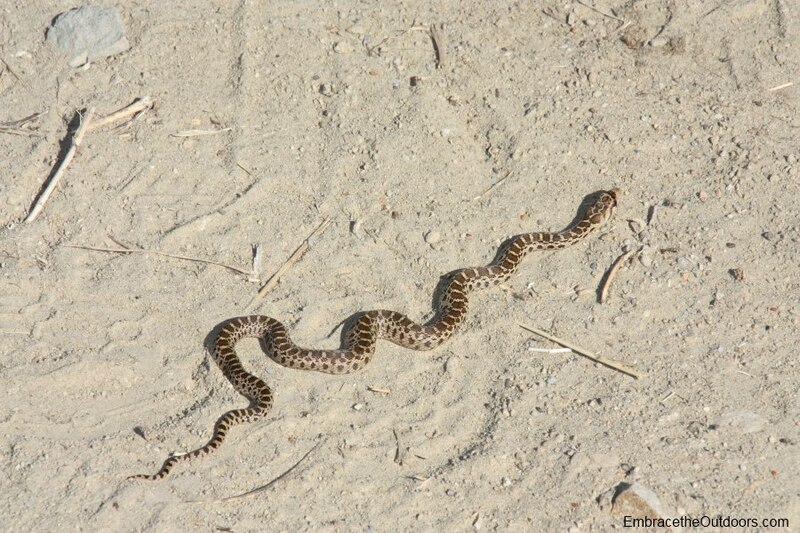 We didn't see much wildlife on the hike mainly just pika and a snake that we almost stepped on. Just before Inspiration Point we took a brief detour off the trail where we get a better, unobstructed view of the lake. Once we got back to Inspiration Point around one in the afternoon the area was really busy. We headed to the dock and jumped on a boat back across the lake. The out and back hike ended up being nine miles roundtrip with an elevation change of about 1100 feet and took us five hours with a 20 minute break at the fork. This was probably the easiest nine miles we have ever hiked. We definitely recommend this hike to others. Its popularity is well deserved. If you want a post hike meal head over to Dornans at Moose Junction for a pizza and beer like we did. The hike to Mt. 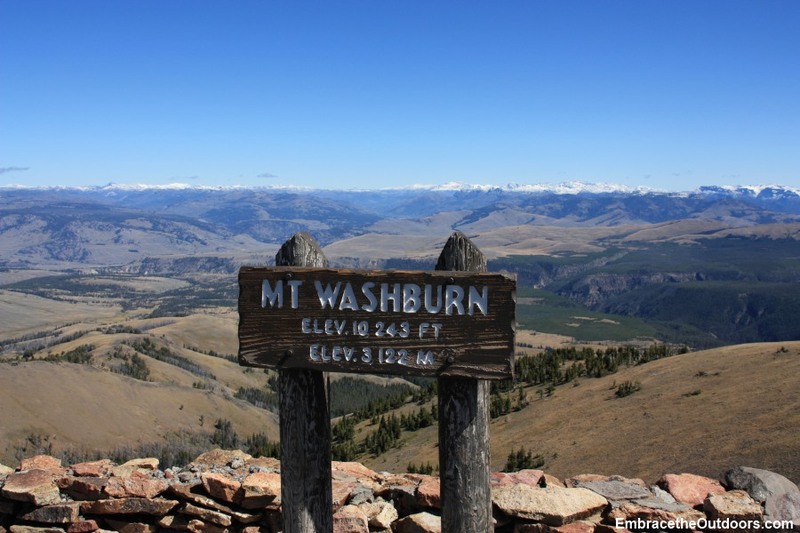 Washburn peak is the most popular dayhike in Yellowstone National Park so we couldn't visit the park without doing the hike. 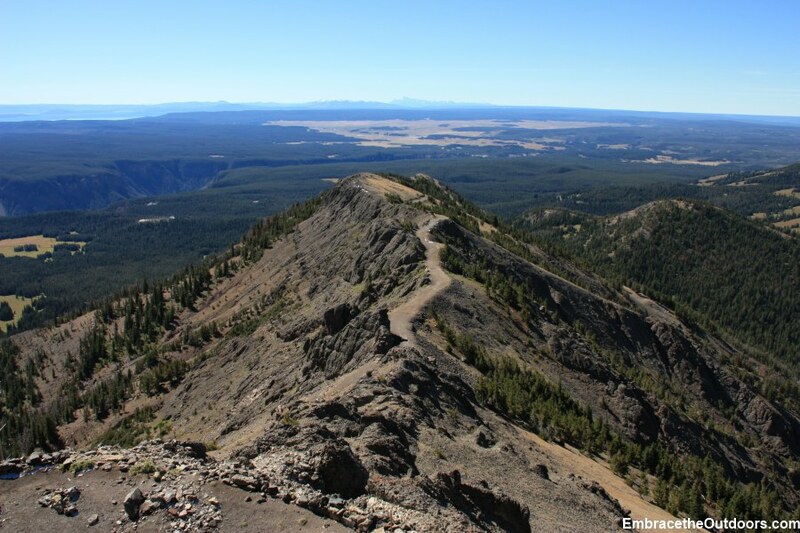 There are two options to start the hike, the first is to start at the trailhead on Dunraven Pass on the Grand Loop and the second is drive to Chittenden Road and start the hike from there. The trail from Chittenden road is slightly shorter and more exposed. We chose to start the hike on Dunraven Pass, which is at 8859 feet elevation. There is a parking lot there for about 20 cars and RV's, it fills up quick so its best to get there early. There is also a pit toilet. After layering up and grabbing our bear spray we headed out to the dirt trail. Most of the trail is an old road that is no longer used so it's wide in most parts. It starts with a steady climb right at the beginning. Since it was a cold morning and had been cold that last several days, there was some snow and ice scattered throughout. Going up the trail we went through several alternating sunny and shaded areas. 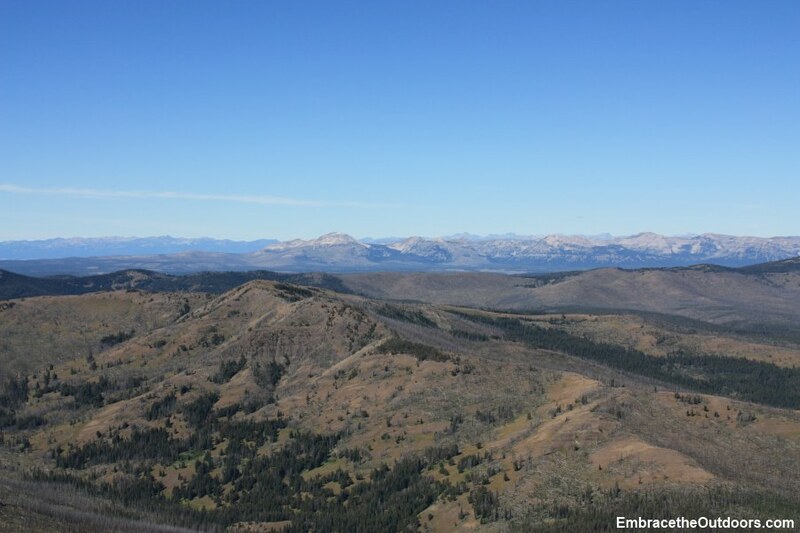 Very soon on we could see great views of the Yellowstone Caldera. We were pleasantly surprised that we didn't have to put in too much effort before reeping the rewards of this hike, the views. 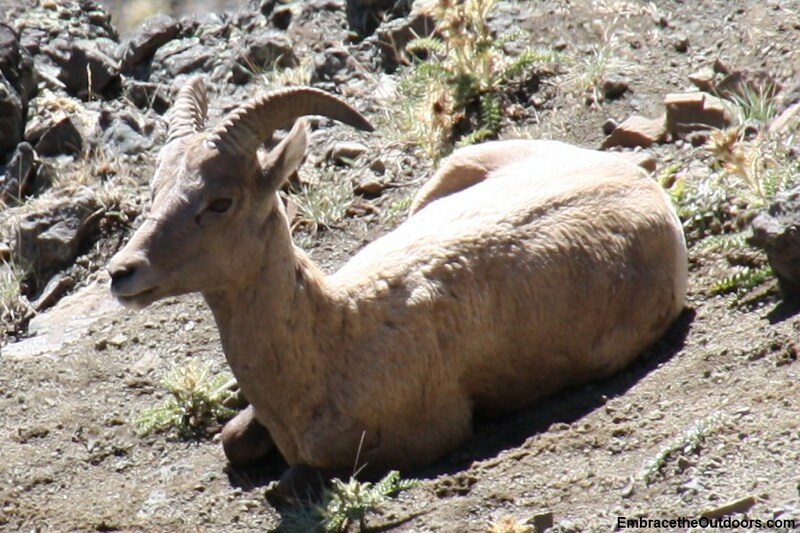 After a few switchbacks we came across a group of young bighorn sheep on the cliffside. These were the first and only we saw on our trip so we took time for pictures. 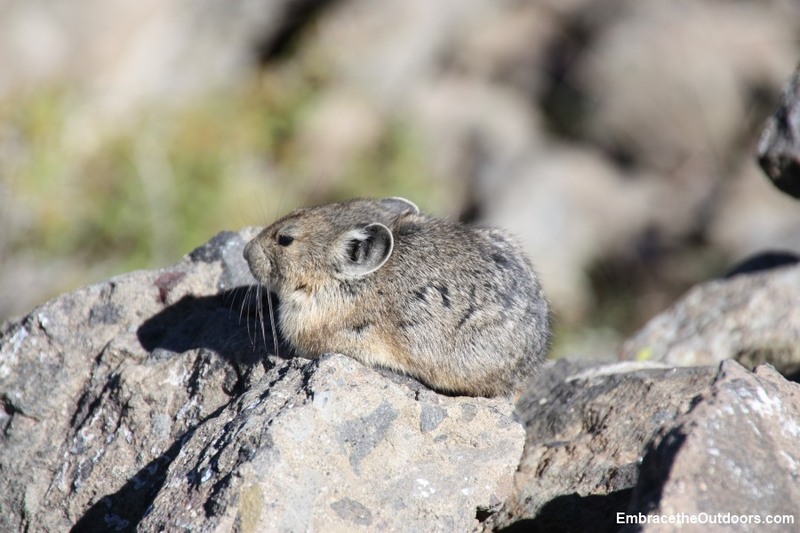 A little further up the trail we saw our first pika. 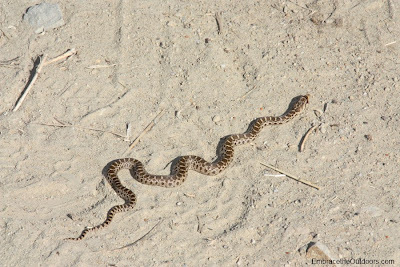 It was smaller than we had anticipated and after more pictures we pressed on. 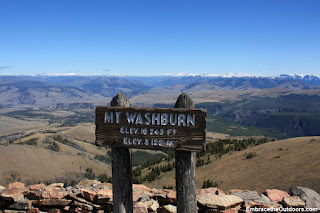 Mt Washburn Peak was in clear view at this point, along with the fire lookout tower. After circling around the peak on gravel trail we made it to the top. The 360 degree view at the peak was amazing. The clouds from earlier in the day had cleared. 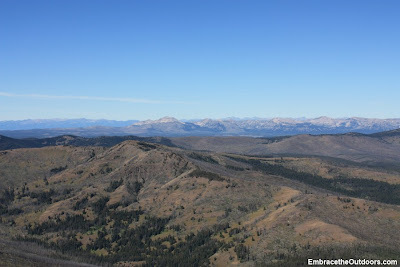 We could see Hayden Valley, Yellowstone Lake, Canyon, and nearby mountain ranges. 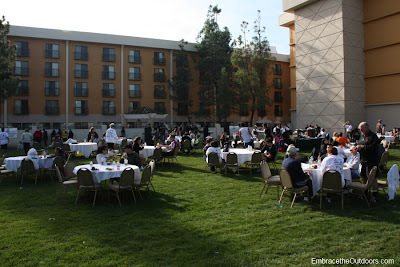 There was a large space at the peak to take a break and eat, as we found many people doing. We joined them for our break while continuing to admire the views. We also explored the building and were able to enjoy even more views on the balcony on the second level. 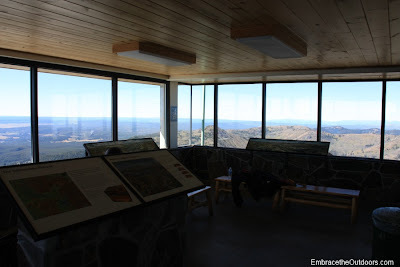 There was a fire lookout tower, interpretive displays, calling card pay phone, public telescope and a display of the caldera. There were also several pit toilets here that were surprisingly clean. After about one hour we headed back down the trail. 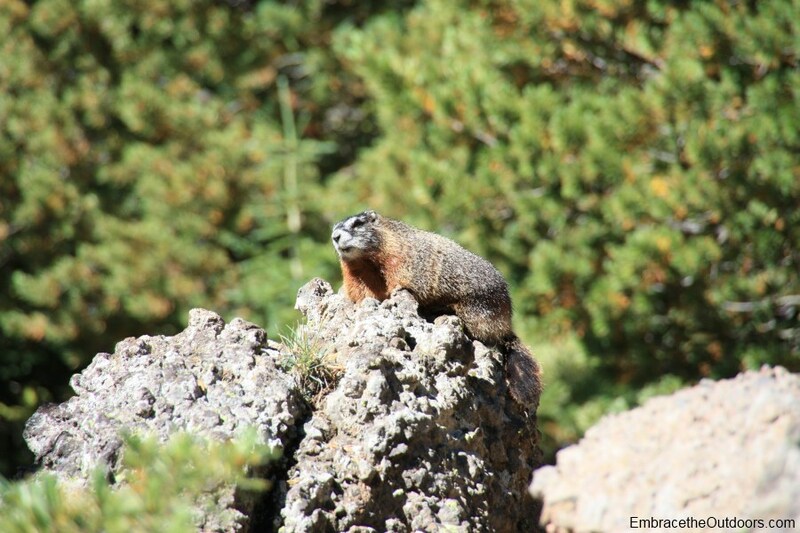 We saw the sheep again on the way down as well as a marmot. As it had warmed a bit we had to shed some of our layers. The views were great on the way back since the sky was clear. We took more pictures on the way down and much of the snow and ice we had seen on the early part of the hike was now gone. After about 4.5 hours total we were back at the parking lot and it was nearly full. The 6.4 mile hike was great and the views were also. We can understand why this is such a popular hike. 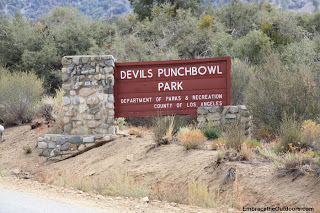 We recommend getting to the lot early and making sure you layer up for the hike as the weather can change without notice and afternoon storms are common. 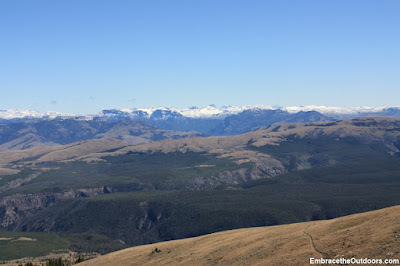 Our second hike in Yellowstone was Elephant Back Mountain. From the Canyon Lodge we headed over to the Elephant Back Mountain trailhead. About half a mile north of the Lake Village turnoff on the Grand Loop Road is parking for the trail with room for several cars. This hike headed right into the woods and we remained covered by the trees from the sun. The trail is a lollipop loop. After about one mile on the trail we reached the fork. We headed left to do the hike clockwise as recomeneded by the guide book that we had read the night before. The loop section is where most of the elevation of the hike is gained. After climbing up we reached the ridge at 8600ft that gave us an amazing view of Yellowstone Lake and the surrounding area. There were several logs there that provided the perfect spot to sit down and take in the scenery. We of course did just that and took several pictures. Our phones even beeped with new emails as we had cell reception atop the ridge, something we had been without during our stay in the canyon area. After our break we continued on the loop and descended. 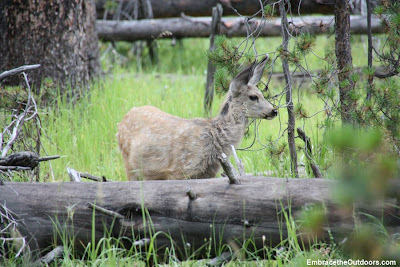 As we approached the end of the hike we were lucky enough to spot a doe and three fawns. We of course took out the camera and took several photos. They didn't seem bothered by our presence at all. 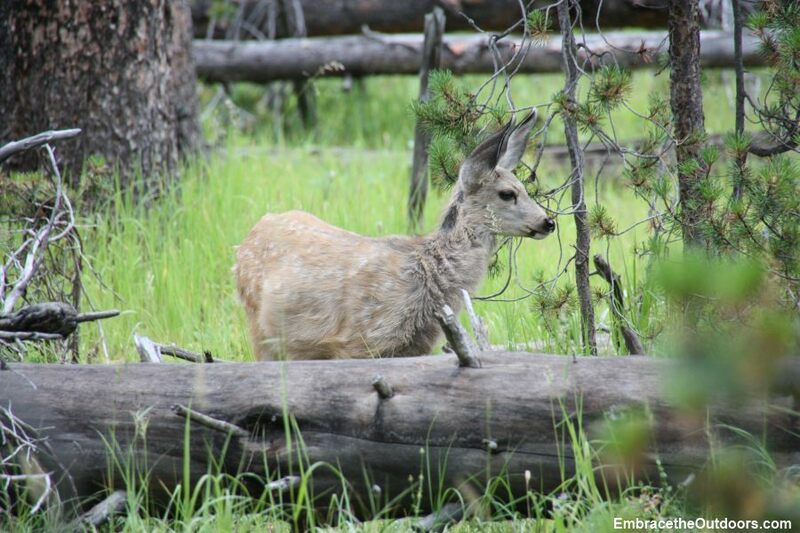 We continued on and spotted a buck right before reaching the road. 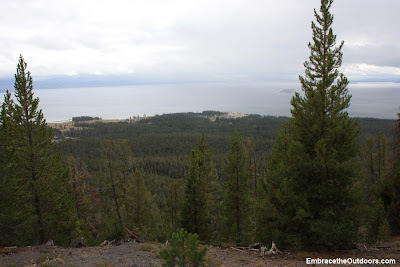 The hike totaled 3.5 miles with an elevation change of about 800 feet. 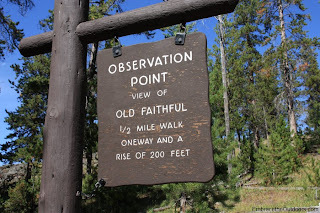 After watching Old Faithful erupt we decided to continue on to Observation Point Trail. From the Upper Geyser Basin area we crossed the bridge behind Old Faithful and made our way to the trailhead for Observation Point. We had read in the past that it was a nice short trail that with good views of the Old Faithful Area Upper Geyser Basin. 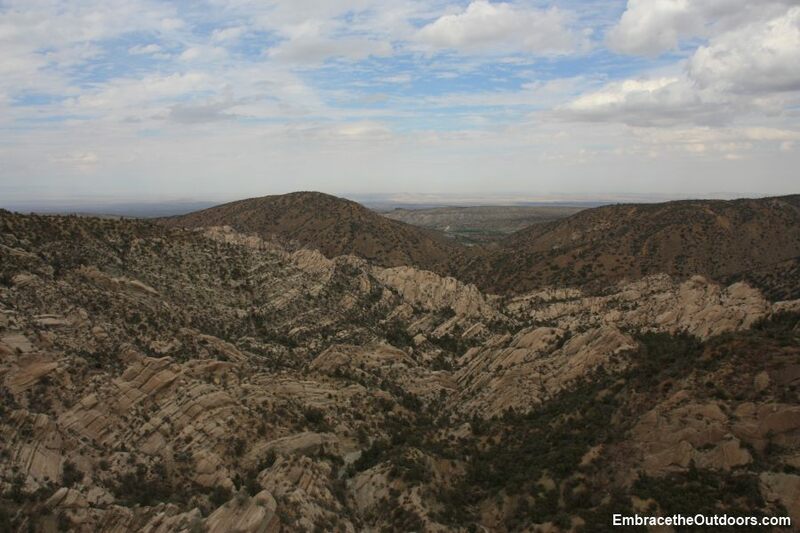 The trail can be done as an out and back or can be combined with other short trails in the basin to make a loop of varying distances. The trailhead was easily marked. We headed up the dirt trail and since it was a warm afternoon we could really feel the sun in the exposed areas of the trail. 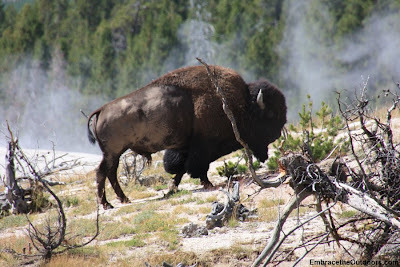 We hadn't been on the trail long when we came across bison. We intially thought it was just one but after watching for several minutes we were able to see a group of about five or six a little further down. This was the first wildlife sighting we had on our trip so we took the time to watch and take pictures. We continued on the trail and came across a marmot sitting on a rock. We soon reached Observation Point, which lived up to our expectation. 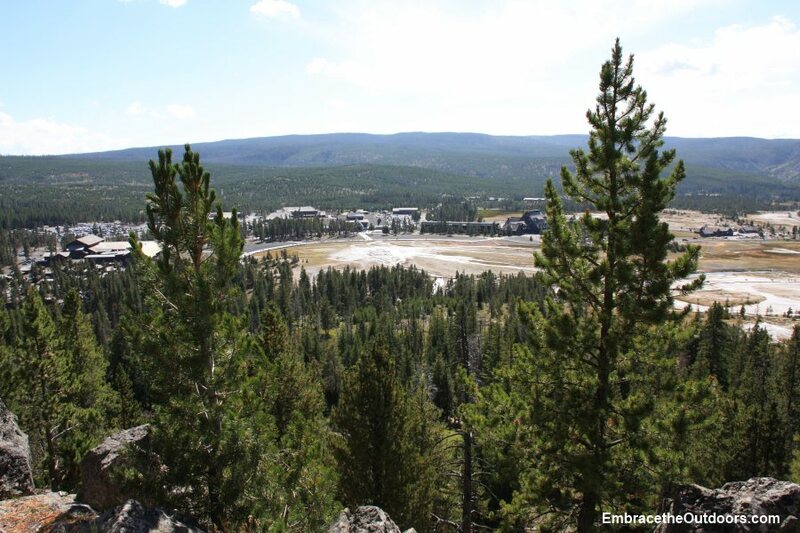 We were able to see the Old Faithful area and geysers in Upper Geyser Basin. 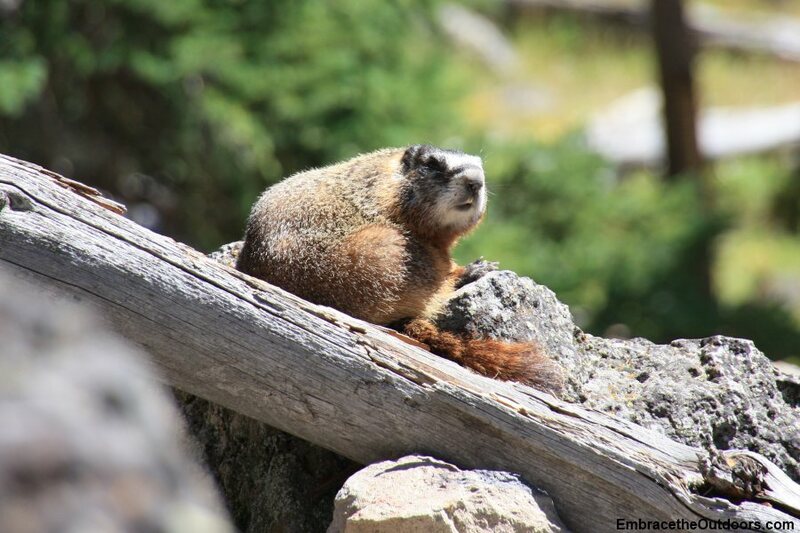 There were a few other hikers along the trail and at Observation Point but it was not crowded by any means. We decided to take a different trail back to the basin and passed Solitary Geyser. 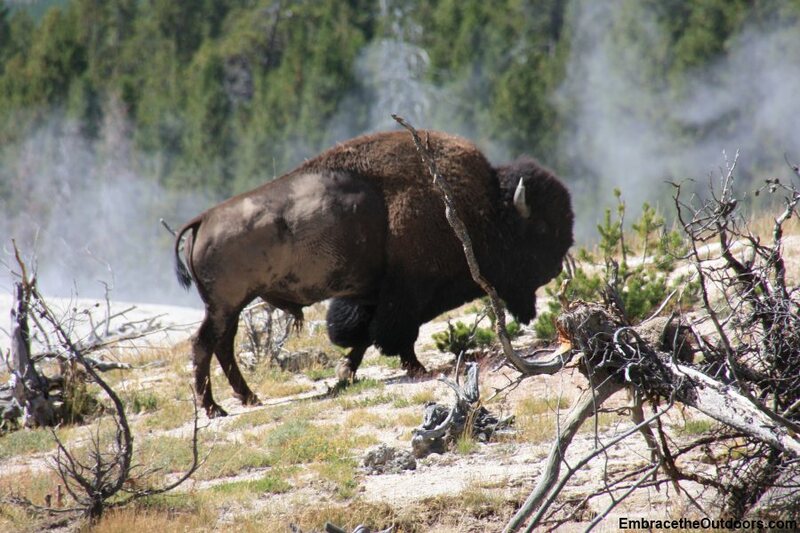 This geyser erupts every 4-8 minutes. We were there just a couple of minutes when it erupted a few feet, lasting only a few seconds. We headed back down the trail and made our way back to the boardwalk in the basin. The entire hike was just over a mile in distance with about 200 feet elevation change. Observation Trail is a good short hike very close to the Upper Geyser Basin area that provides different views of Old Faithful and the other geysers.